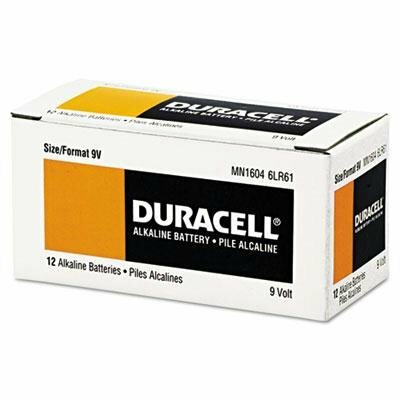 CopperTop Alkaline Batteries with Duralock Power Preserve Technology 9V 12/Pk - Get long-lasting reliable power for the devices your business uses most. - Batteries are engineered to deliver just the right level of power for most electronic needs. - CopperTop batteries contain no added mercury and are rated for reliable operation in extremes from -4ଏ to 129ଏ. - Individually date-coded and up to 10-year freshness guarantee in storage. - Battery Type: Alkaline Battery Size: 9V For Use With: Everyday Electronic Devices Voltage: 9 V.